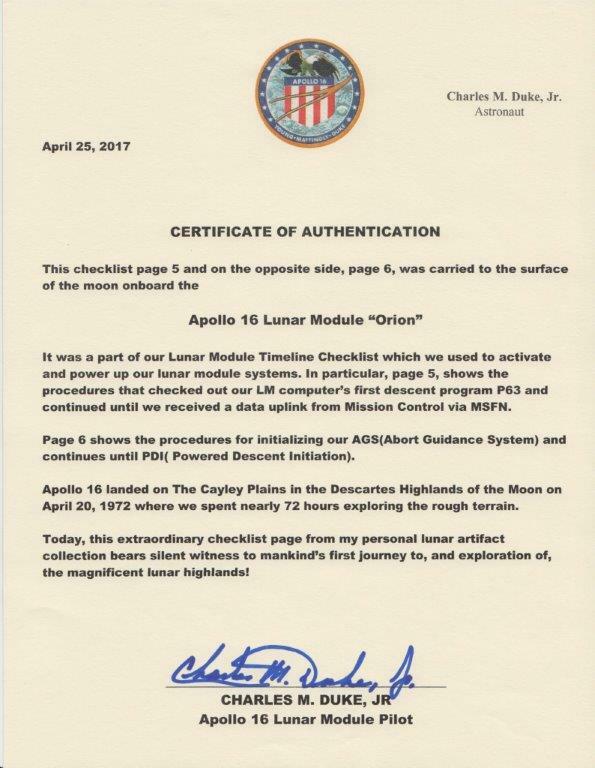 This 10.5 x 8.5 inch page from the Apollo 16 Lunar Module Timeline Checklist flew to the lunar surface where it stayed for 3 days inside the Lunar Module, Orion. 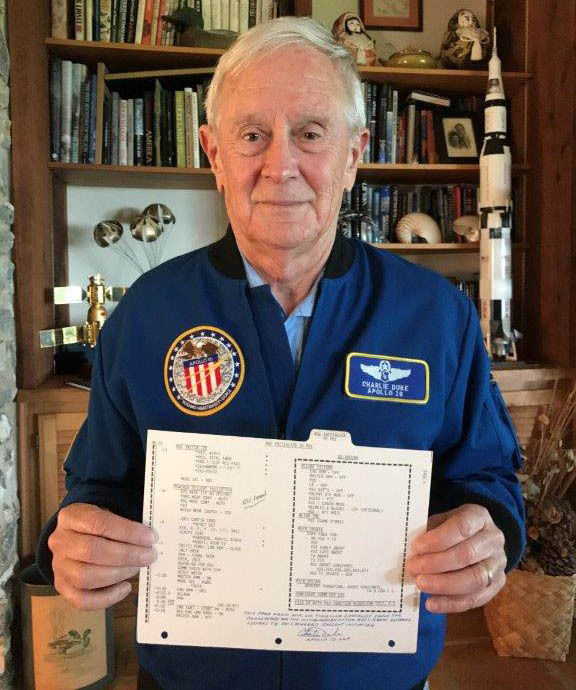 It was used at the start the LM's descent to the lunar surface. 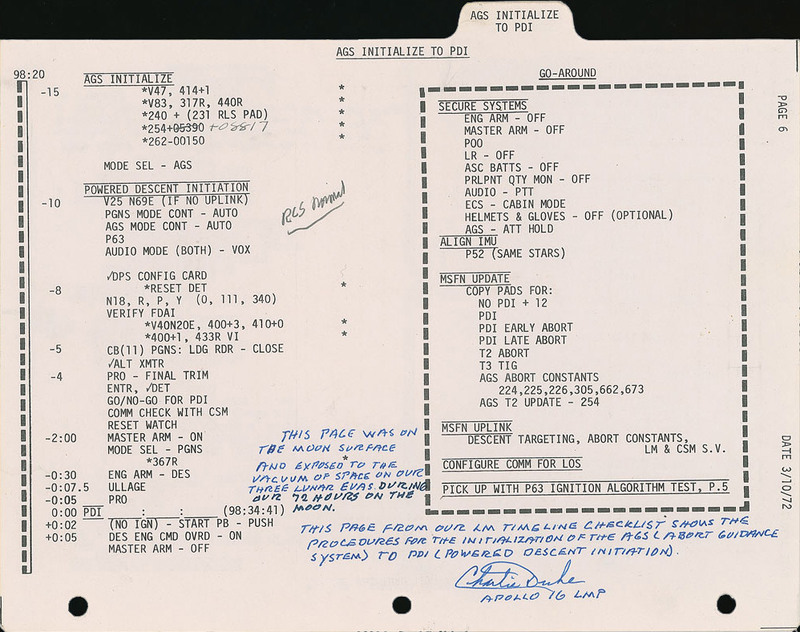 There is also some hand written annotations made in Lunar Orbit on the right side, "98:05:00" and "103.42"
Side 6 is entitled, "AGS TO INITIALIZE PDI" and shows a countdown to zero at which PDI starts. 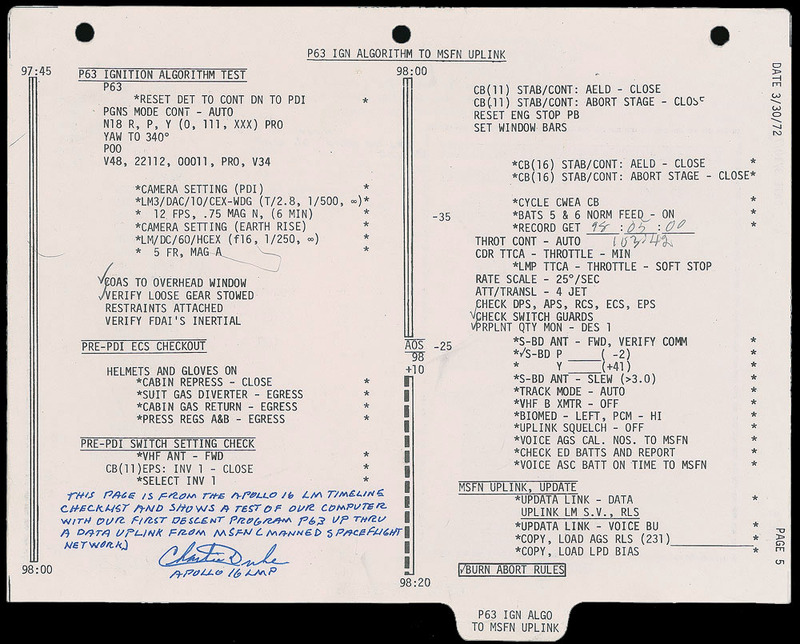 Charlie Duke has inscribed this side as, "This page was on the Moon surface and exposed to the vacuum of space on our three lunar EVAs during our 72 hours on the Moon - This page from our LM timeline checklist shows the procedures for the Initialization of the AGS (Abort Guidance System) to PDI (Powered Descent Initialization)".